Twice cooked, extra crunchy Nachips topped with spicy chunks of chicken, juicy peppers, zesty lime and coriander, smothered in piping hot, gooey melted cheese. This chicken nachos recipe has it all: hot, cold, soft and crunchy. Crank the oven to 180ºC (160ºC for fan assisted ovens), gas mark 4. Heat a drop of oil in a pan, tip in the diced chicken and sizzle for 2-3 minutes until it’s golden brown. Stir in the chopped pepper and cook for a further two minutes. 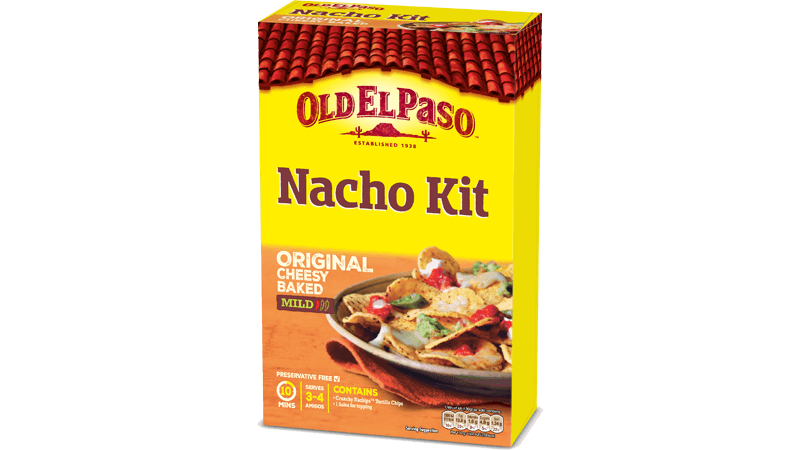 Toss one sachet of our Nachos Topping into the mix and simmer for 3-4 minutes. Finally, squeeze in the lime juice, add the zest and garnish with freshly chopped coriander. Grab the Nachips and spread them onto an oven proof baking dish. Our Extra thick chips are double cooked so they’re super crunchy and strong enough to load up with lots of toppings. Spoon over some chicken mix and cheese. Keep going, making three layers and pour over the second packet of Nachos Topping plus another layer of cheese for good measure. Leave it in the oven for 10 minutes until the cheese is melted and bubbling then dish up your citrusy and spicy lime and coriander chicken nachos with a dollop of sour cream and chunky guac, a pile of napkins and let the whole family have at them.